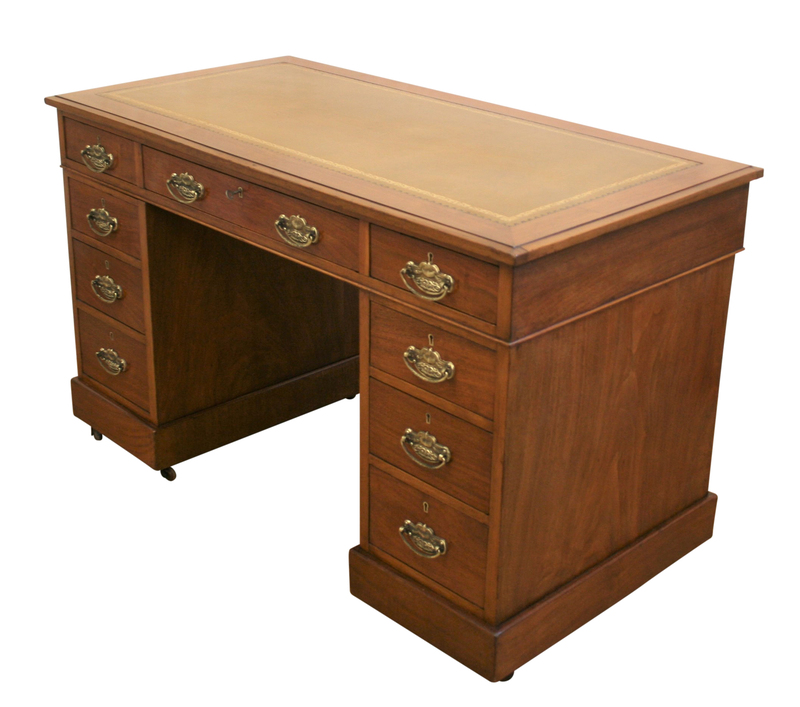 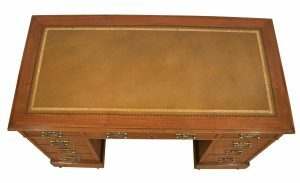 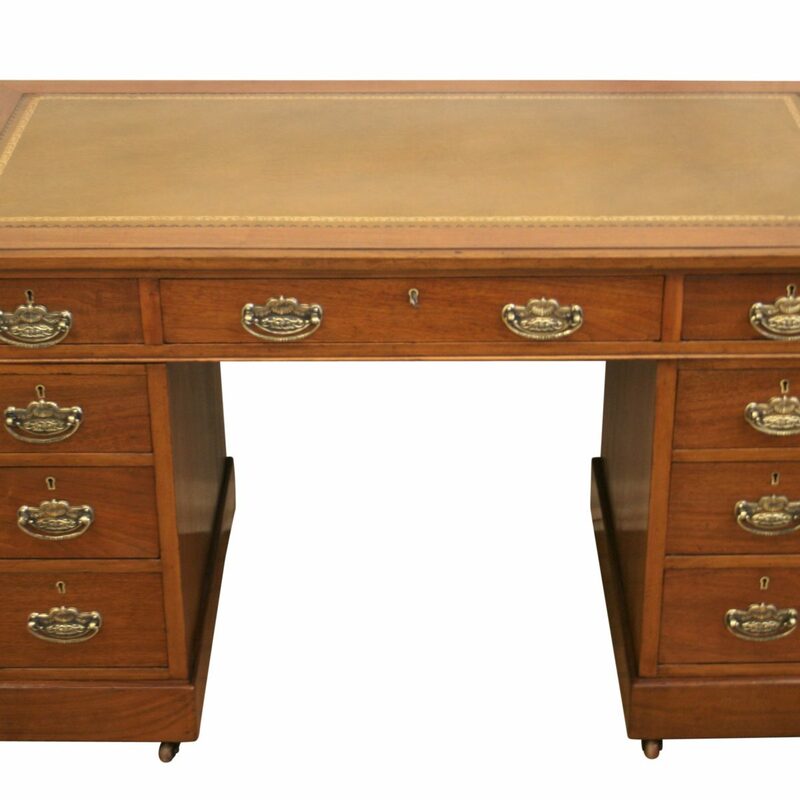 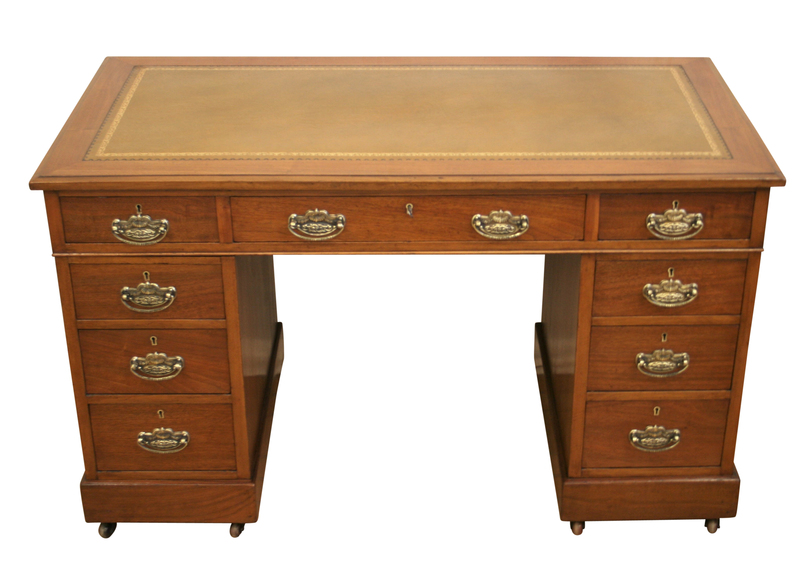 An Edwardian walnut pedestal desk. 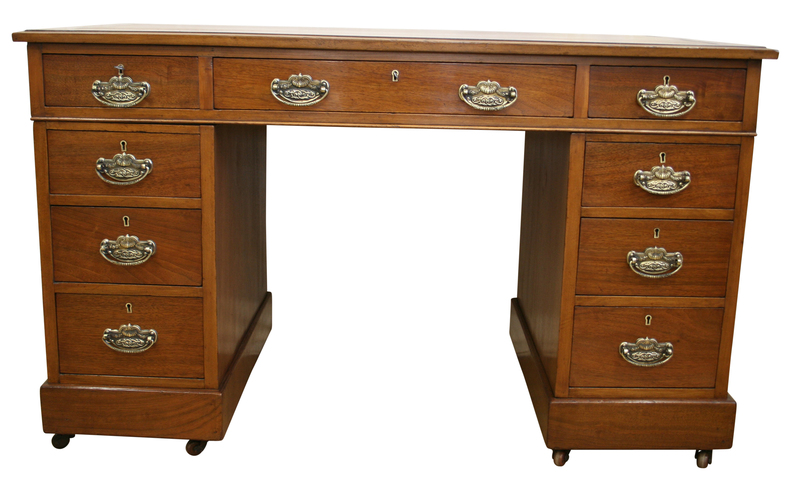 It has graduated drawers to each side and one long central drawer. 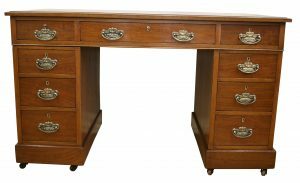 The drawers have brass plate handles and escutcheons. 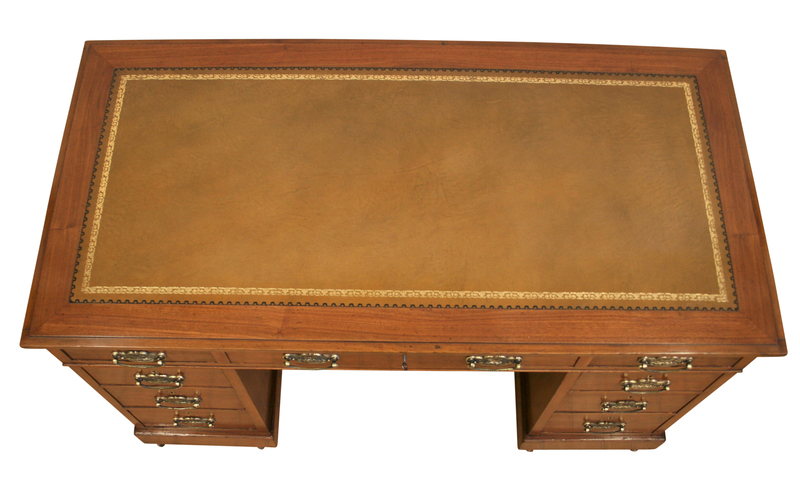 It has an Antique gold tooled leather top.